Apple has just announced that they have sold over 1.7 million iPhone 4 in the first three days of the launch of the device in 5 countries. In the press release Steve Jobs apologized to customers who were turned away because Apple didn’t have enough iPhone 4 units in stock. We should note that analysts has estimated day one sales at 1.5 million units. 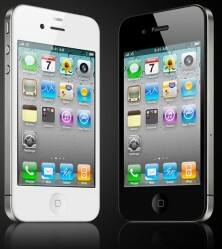 iPhone 4 Sales Top 1.7 Million. CUPERTINO, California—June 28, 2010—Apple® today announced that it has sold over 1.7 million of its iPhone® 4 through Saturday, June 26, just three days after its launch on June 24. The new iPhone 4 features FaceTime®, which makes video calling as easy as one tap, and Apple’s new Retina display, the highest resolution display ever built into a phone, resulting in stunning text, images and video. iPhone 4 also features a 5 megapixel camera with LED flash, HD 720p video recording, Apple’s A4 processor, a 3-axis gyro and up to 40 percent longer talk time—in a beautiful all-new design of glass and stainless steel that is the thinnest smartphone in the world. iPhone 4 comes with iOS 4, the newest version of the world’s most advanced mobile operating system, which features Multitasking, Folders, enhanced Mail, deeper Enterprise support and Apple’s new iAd mobile advertising platform. iPhone 4 is available in the US for a suggested retail price of $199 (US)* for the 16GB model and $299 (US) for the 32GB model in both Apple and AT&T’s retail and online stores, Best Buy, Radio Shack and Wal-Mart stores. iPhone 4 is also available in the UK, France, Germany and Japan and will be available in an additional 18 countries by the end of July—Australia, Austria, Belgium, Canada, Denmark, Finland, Hong Kong, Ireland, Italy, Luxembourg, Netherlands, Norway, New Zealand, Singapore, South Korea, Spain, Sweden and Switzerland. *Qualified customers only. Requires a new two year AT&T rate plan, sold separately. Apple designs Macs, the best personal computers in the world, along with OSX, iLife, iWork, and professional software. Apple leads the digital music revolution with its iPods and iTunes online store. Apple reinvented the mobile phone with its revolutionary iPhone and App Store, and has recently introduced its magical iPad which is defining the future of mobile media and computing devices. Why isn’t anyone posting information about the problems people are having in the iPhone 4 ? Reception issues , yellow spots on screen , flipped volume keys , … ?! i have poor battery performance since i upgrade my 3gs to ios4. is this happening to anybody else? try to hard reset (hold power and home button until iphone shuts down, keep holding until apple logo appears) 2 times in a row. Any idea when is iPhone 4 coming to Kingdom? There’s been so many reported problems the phone. I wonder if Apple is going to rectify all that before releasing the set in the middle East. Does anyone know how to reject calls. when iphone is locked there is only one option “slide to answer”….the phone keeps ringing and I cannot reject the call. but when the phone is unlock….then when call comes there are two options “answer” and “decline”…why there is no decline when the phone is locked. Hit Power button twice and it will be rejected. If you dont know Power button is located on the top of the phone. Hi, If I ask my relative in US to buy iphone4 for me officially unlocked and then bring to Saudi, does the Apple Saudi support it if there is any problem.